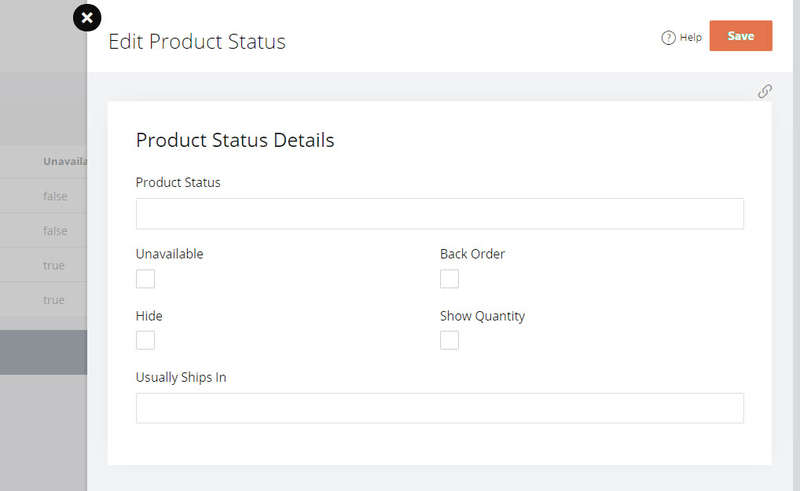 Product statuses are product availability labels that are displayed on the product and category pages. They are independent of inventory management settings and hence, can be anything you choose. 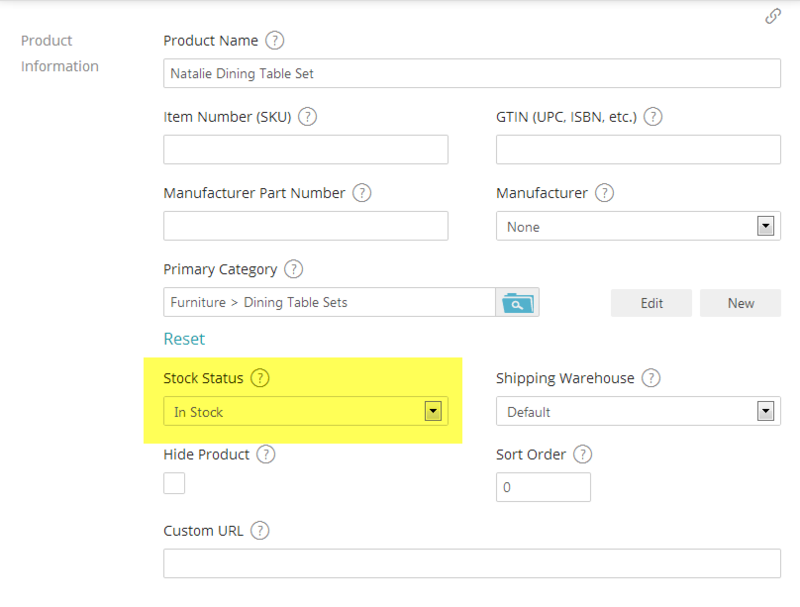 You have the option of adding product statuses as per your needs (Example: Quick Ship, Ships in 1-2 Weeks etc). You can relate these to inventory settings as well. Please click here to read the article on Managing Inventory for details on relating product statuses to Inventory Management. Set flags that products will exhibit when set to the status by checking any of the flags: Unavailable, Back Order, Hide, Show Quantity. These flags are optional and are checked only when applicable. Enter a Label to display 'Usually Ships In'. This helps provide clarity for your customers and is optional. Click the Save Tab to save your new product status for your store. Unavailable - Product cannot be ordered when set to this status but will be shown still. Back Order - Products with this flag are able to be back ordered, which means their current stock count can go negative. Hide - Products with this flag will not be shown in the catalog. Show Qty - The quantity in stock for items with this flag will be shown on the product details page. Usually Ships In - This message is shown next to the status as a note, i.e. "Usually Ships In" (ex: 1-2 business days) or any note needed to explain the status further. You can assign defined product statuses to products on the product editor, through the product import tool, or through the mass product editor. You can use the Product import tools to assign product statuses to products as well. The screenshot that is mentioned in the last line of this post is missing - can someone upload it please? How do I add the availability section like the picture above? 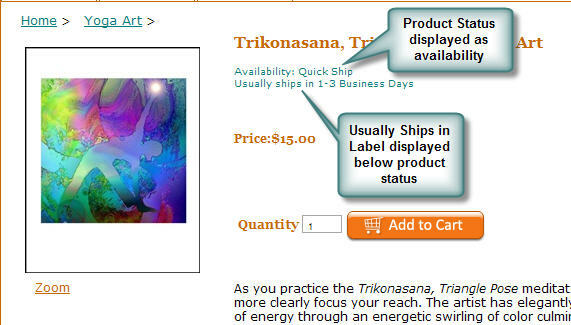 When I add a custom product status it only appears to say "Usually ships in x to x business days".